Having become available a day early across North America and Japan, the Nintendo 3DS Ambassador Program has today gone live across Europe, allowing early adopters the chance to download ten free NES titles from the Nintendo eShop. You’ll also able to download the ‘Ambassador Certificate’ which may be used to receive updates regarding the Ambassador Program, such as when new titles are available to download. For more than twenty years, Mario and Luigi have been tirelessly running and jumping across these caves and castles to put a smile on every player’s face. Squash goombas and crawl down pipes. Swallow mushrooms and Fire Flowers. 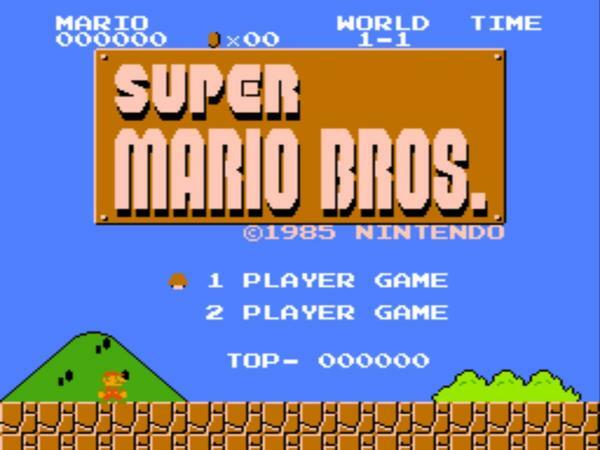 Discover or rediscover one of the most popular video game of all time. The brave Link begins his hazardous journey in the fantastic world of Hyrule. Using your sword, your shield and your wit, retrieve the eight fragments of the Triforce and save the princess Zelda from the evil Gannon in the game that started one of the most critically acclaimed series of all time. This direct sequel to the original The Legend of Zelda™ is famous for taking the series in a new direction, while also introducing elements that would go on to become standard in future Zelda games. In Zelda II the Adventure of Link, Link is on a quest to seek the Triforce of Courage and awaken Princess Zelda from a sleeping spell placed upon her by an evil wizard. Tee off with Mario (and Luigi, too, in two-player mode) in this classic sporting simulation from 1992. In NES Open Tournament Golf, choose from three international courses – UK, US and Japan – and three different game types – Stroke Play, Match Play and Tournament. Donkey Kong™ has finally been captured by Mario! Reverse roles and help his son Junior avoid many dangers to save the giant ape. Here is another smash hit of the early Eighties in which, for the first and only time, Mario plays the role of the “bad guy”. Originally a hit in the arcades of the early ‘80s, NES classic Balloon Fight puts you in control of a heroic balloonist. Simply pop the balloons of your enemies before they pop yours! Falling enemies will deploy a parachute, so hit them again to knock them into the water below or into the jaws of a hungry fish. But watch out, the fish has its eyes on you, too! Conquer treacherous mountain peaks, leap across icy chasms and swat snow-dwelling beasts – solo or with a friend – in this NES classic from 1984. Use your hammer to bash blocks from below and to defend yourself from the wildlife as you jump from floor to floor towards the summit. Mario & Yoshi is a fast-paced NES puzzle game in which you must mix and match falling characters and piece together eggshells to free the Yoshi trapped inside. Simply move Mario back and forth to catch the falling Goombas, Boos, Bloopers and Piranha Plants. In NES classic Wrecking Crew, Mario swaps his plumber’s cap for a hard hat as he takes on the unique role of a demolition engineer! Your aim is to demolish every obstacle in each enemy-infested level, while working out the most destructive route through the networks of ladders and scaffolds. Metroids – the most dangerous creatures in the galaxy – have fallen into the hands of Space Pirates! As bounty hunter Samus Aran, battle through the depths of planet Zebes to take out the pirates’ leader Mother Brain and restore peace to the galaxy.